Shane Chalmers joined Melbourne Law School in January 2018 as a McKenzie Postdoctoral Fellow. Based in the Institute for International Law and the Humanities, his Fellowship involves a collaborative cross-disciplinary research project on "the rule of law". 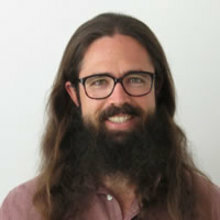 Shane's McKenzie Fellowship builds on his doctoral research, undertaken between 2012-2016 in the School of Regulation and Global Governance (RegNet) at The Australian National University, which combined an historical study of the colonial origins and making of Liberia with an empirical study of the everyday life of law in Liberia and law's role in remaking the nation-state post-war. The results of his doctoral research are published in a monograph, Liberia and the Dialectic of Law: Critical Theory, Pluralism, and the Rule of Law (Routledge-Birkbeck Law Press, 2018), as well as a series of journal articles. Shane also holds a Master of Laws in Comparative Law from McGill University (2011), and a Bachelor of Laws with Honours (2010) and Bachelor of International Studies (2007) from the University of Adelaide. His teaching includes Legal Theory in the Melbourne JD. He has also worked for the Crown Solicitor's Office in Adelaide and for the Solicitor-General of South Australia, as a research intern for the UNDP Regional Centre in Bangkok, and as a legal intern for the Center for International Environmental Law in Washington, DC.